Want to upgrade the stereo in my daily driver vs wagon. Most of them seem to be around the 300w rms mark is this enough or should I go for something bigger. Also brands etc? What would you reccomend? Obviously I will ditch the 6x9's in the cargo area and put 6's or 6.5's in the back. How much of a difference will I notice in the overall sound running with splits in the front rather then the 6's in there now? Just a thought if it was going to be a MAJOR difference I would upgrade the fronts to splits and use those 6's for the back cargo area. And then matching amps to subs and speakers? 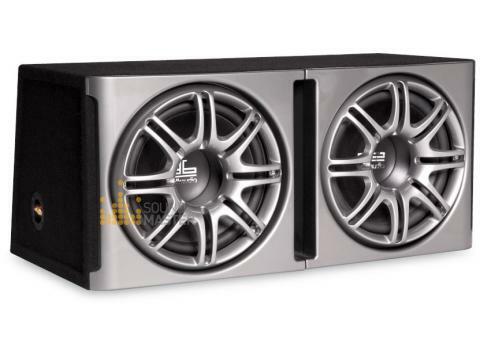 Thinking some subs like these would be ok? How much of an advantage is it getting subs in their own custom box made by the manufacturer of the subs? Just go splits in the front and 6.5s in the rear doors. Just get a fair size 4chan amp I think I've got a 780w pioneer, just make sure you've got good quality speakers, not just 110 pioneers from autobarn..
That and a pioneer monoblock running at around 800rms at 2 ohms. (The sub could handle lots more). I paid 350 for a second hand sub, which has lasted 2years thus far. And about 1000 on speakers( 6s and 6:9s) amps and wiring, head unit was another 350 but I like the top of the range with them. The amps and speakers were a bargain off a good mate, saved at least $700 but you get the idea. Anyway this is in a vz, and honestly it's probably the loudest stereo I've ever heard, the sub is insane low to mid, it hurts my throat and ears..